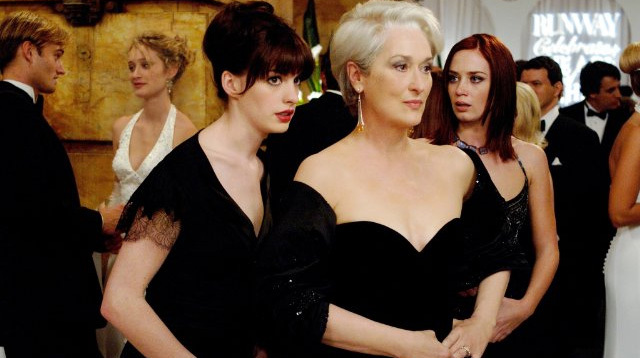 Actress Emily Blunt admits that she's game for another The Devil Wears Prada movie, but only if everyone else is on board. “I would do it, but only if everyone did it. I don’t know why it hasn’t been done, but everyone’s got to do it,” she told E! News. The movie, which was based on Lauren Weisberger's best-selling novel, was published in 2003 and made into a movie (starring Anne Hathaway and Meryl Streep) in 2006. No deets yet on whether Hollywood really is planning a sequel, but it is possible. Author Lauren Weisberger published the sequel Revenge Wears Prada just last year, so we can only hope producers turn it into a movie soon! God, we hope they do it fast, though!